These playful blushes add the perfect amount of color to any complexion. Features/Benefits: Sheer pigment—Gorgeous sheer shades designed to brighten your complexion in seconds. 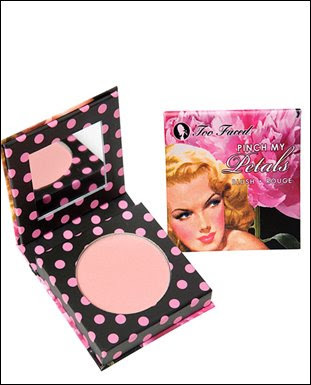 Paraben-free—Too Faced is all about developing high-quality products that are good for you and Mother Nature! Pinch My Petals is a fresh and light blossom of pinky-mauves that brightens cheeks, forehead and chin for a perfectly pretty glow. 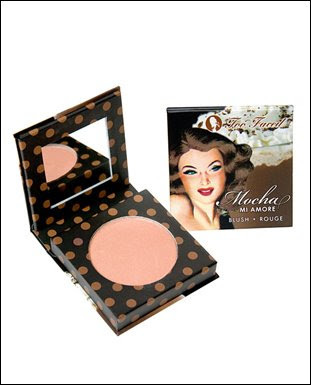 Mocha Mi Amore is a rich and creamy mocha brown; a pick-me-up for the face or anywhere else you want a naturally naughty glow. 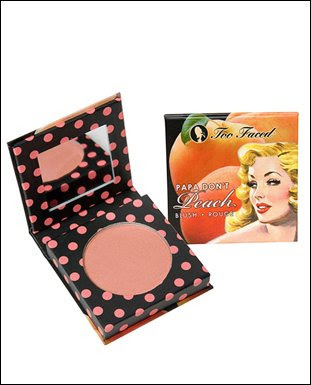 Papa Don't Peach adds a warm burst of fresh peach to energize and refresh your flush.